It’s an excuse to let loose and get a round in. With St Patrick’s Day just around the corner, why not look at creating some real memories for future St Patrick’s Days to come? Go all out this year and travel abroad. Find out the best locations to visit right here and tick off these must visit St Paddy’s Day destinations from your bucket list. What is St Patrick’s Day & When is it? Celebrated every year on the 17th March, St Patrick’s Day commemorates the culture and religious accomplishments of Saint Patrick himself. Said to be held on the day he died, Patrick is heralded as bringing Christianity to Ireland and creating the icons of Ireland like the three-leaved shamrock and the colour green. Though largely celebrated on the day itself, be sure to double check when festivities are taking place in the case that it falls on a weekday. 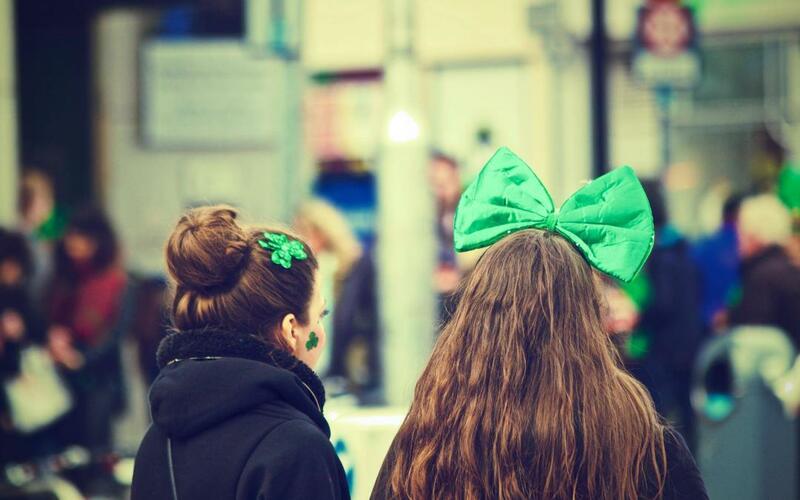 Although across Ireland they have it as a national holiday, often a lot of the festivities are held off until the following weekend, giving party-goers the full atmosphere of St Paddy’s Day. Where better to have an authentic St Patrick’s Day experience than sloppily throwing pints back with the best of them in the Emerald Isle itself? Make the short flight from other parts of the UK. Stick a pin in the map of where you’d like to go and start planning. What’s On? From 11.30am to 4pm you can enjoy the carnival parade, which takes on a different theme each year. Filled with colour, expect performances including dance and musical acts as it takes its route through central Belfast. Hold your horses on hitting the pub just yet. You can also enjoy a free concert with familiar faces from the likes of The X Factor. St George’s Market also hosts an array of live performances, as well as craft workshops and delicious foods like a warming Irish stew. Where to Eat & Drink? Irish stews and Irish fry are a must. As for drink… Well, isn’t it obvious? Sip on a pint of Guinness or Jameson whiskey. Find the best ambiance at more traditional pubs like the Duke of York, which boasts the vastest selection of Irish whiskeys. Hear a chord and have a jig with live music at venues like The Dirty Onion or McHughs. What’s On? Not secluded to just one day, enjoy a 5-day long festival dedicated to the national holiday. Attend film screenings, art exhibitions and see the city lit up green including key landmarks. Also enjoy a special Guinness infused sit down dinner at the Guinness Storehouse. Filled to the brim with art and culture quintessentially Irish, Dublin is the place to go for a real injection of shamrock pride. Where to Eat & Drink? You’ll be in foodie heaven with so many different foods to taste. From fun fair staples like hot dogs and candyfloss to attending the Dublin Bay Prawn Festival. You’ll find something to tickle your taste buds. Take a guided tour around Dublin and the Open Gate Brewery and get your taste of Guinness, too. For a snapshot of Dublin night life, frequent the Cobblestone for equal amounts drinking and music. Or enjoy the best beer garden at Bernard Shaw. Avoid the guaranteed hustle and bustle of capitals like Belfast and Dublin and gleam a more laid-back approach to St Patrick’s Day in Cork. You can fly directly from a number of UK airports and ensure your airport parking at the best price using Parking at Airports. Steering clear of the influx of tourism, you can expect the party to continue in a marginally calmer setting. This is an ideal choice for if you plan to go away with your family. Not into the parade scene? Just outside of the city centre, you can opt to go to the 100 yard parade in Dripsey and pull up a seat at one of the two pubs the route goes past. No need to wait standing outside for too long. Enjoy the spirit of a St Patrick’s parade and then seek solace in a cosy pub for traditional Irish food and drink. If you’re already planning a visit to New York, shoe-horning in the St Paddy’s Day experience is a great addition to an already exciting trip. Plan a 5-day round trip in order to see the other sites New York has to offer. (Ensure one of those days is for recovery on the other side of the Irish festivities.) With 34.5 million American citizens listing themselves as having at least partial Irish heritage and 12.9% of those living in New York… It’s not surprising they like to mark the occasion. The parade runs for 6 hours, marching all the way from 44th to 79th street. Approximately 150,000 people take part in the parade. On top of that, there are well over 2 million spectators. Either throw yourself into the party and spectate street side or switch on the TV for comfort and the option of drinking. There are also a number of Irish pubs in New York where you can find the correct vibe. For music, go to Paddy Reilly’s Music Bar. For a traditional Irish spin, McSorley’s is debated as the oldest pub in New York. Want something with a classier edge? Try The Dead Rabbit. So how will you be spending your St Patrick’s Day this year? Have we given you an idea for the next few years to come? Use St Patrick’s Day as an excuse to make an exciting trip. Visit a number of holiday spots across the world. Whether you’re planning your 2018 trip, 2019 or in the years to come. There’s always somewhere with a pint of Guinness and garish green leprechaun hat with your name on it. Discover more travel tips and destination guides right here on the Parking at Airports blog!